Thank you very much again, Nick!!!!! I still have to optimize, but it has been really helpful discussing with you!!!! I'm trying to establish a method to detect methylation in the NR3C1 gene but I detect an additional peak in the melt profile. I thought about primer dimers, but I'm not sure that is it the problem. Indeed, the "high" of the additional peak is proportional to the real peak (which depend on how much methylated the sequence is). 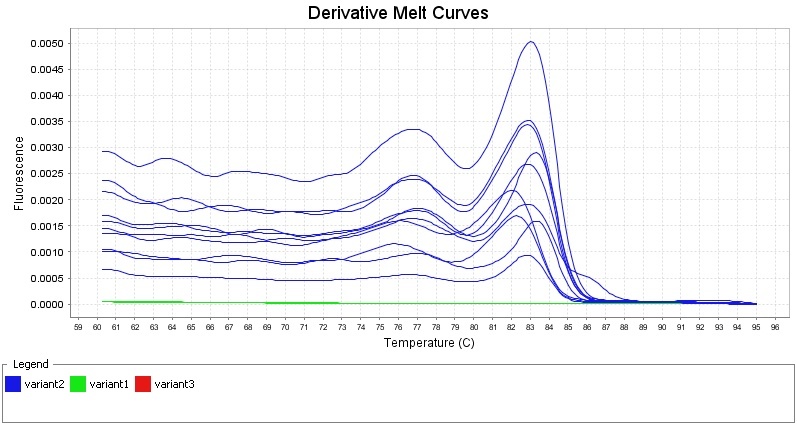 I attach the file with the melt curves. The difference plot also doesn't look very nice (attached). One of the primer is ACCTAATCTCTCTAAAACGACGTTAA. I think it could be prone to hairpins or self hybridization.? Could I slightly modify it? Thank you very much for any possible advise! You should run the samples out on an agarose gel. Have you optimized your annealing temperatures or MgCl? Also, I am assuming your amplicons are larger than 100bp so you should be able to differentiate them from a primer dimer. If you are still unsure about the status of this amplicon and it is a single band on on a gel then you can gel purify and sequence it. Secondly, have you fully characterized DNA methylation at the NR3C1 promoter to determine which CpG are differentially methylated? Or has someone characterized it in the literature? If you have not, MSP is not very informative. Furthermore, I would perform bisulfite clonal sequencing or pyrosequencing in conjunction with RT-qPCR for mRNA expression. Thank you very much for you helpful answer. I just saw your answer now. Yes, the first step is to run an agarose gel. Then I could purify it from the gel and run the HRM after it (and compare the methylation level with the one previously obtained). Something I didn't say before: I don't detect any peak in my blank control, which is strange since I should detect it in case of primer dimers. The temperature doesn't make any difference, I always detect this second peak. I didn't try to change the MgCl concentration because I'm using the Melt Doc mix (applied biosystem) that already contain MgCl. But I could try to add MgCl (?). My amplicon contains 8 CpG that have been described in the literature as differentially methylated and 8 for which I have no informations. 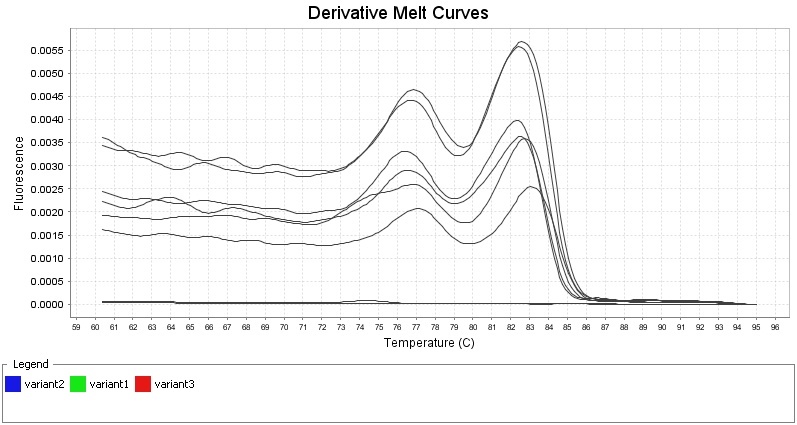 The messy melt profiles suggest you have inefficient bisulfite conversion and primers that are not directed to fully converted DNA strands. You are amplifying a mixture of incompletely converted templates and therefore you have that messy melt profile. Best way to resolve this is to revisit your primer design, we know bisulfite is not 100% efficient. But designing primers that specifically amplify fully converted DNA in your sample will help with the melt profile. In the gel electrophoresis I see no primer dimers but a shadow of a second band at 300 pb (my sequence is 200 pb), so I will try to slightly modify the primers. I will have a CG more, maybe that will improve the specificity. Hi Elena, by Gel Electrophoresis, you would only see one band of expected size if it is high enough resolution, you may see a thicker band at the expected size because if you have enough base differences within your amplicon of interest, because of inefficient bisulfite conversion, this could be seen as 1-5bp difference. ok, I see, that's a problem and I will try to design new primers. Concerning my second peak in the melt curves profile, could be the data collection a problem? 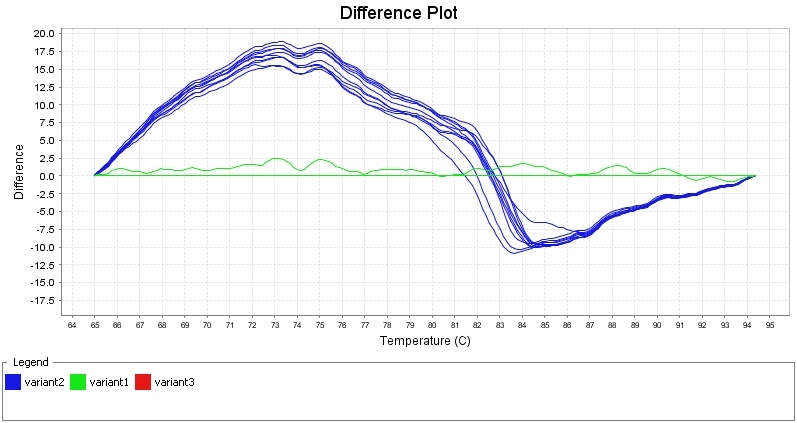 I settled the data collection at the beginning of the HRM (60°C), at the end (95°C) and also in between. Could this first peak be the result of the data collection settlement? no it is not a data collection problem and more likely to be a conversion artefact problem given that the primers and/or bisulfite conversion are not efficient to give rise to multiple species of amplicons. I see, is not a data collection problem. I modified the primers (they are longer). With one of them modified I have less the problem of the second peak but the melt profile is messy, and with the other one, I have a clean melt profile, but still the two peaks (pictures attached). It is not a problem of primer dimers, since I don't see any residus when running the gel. 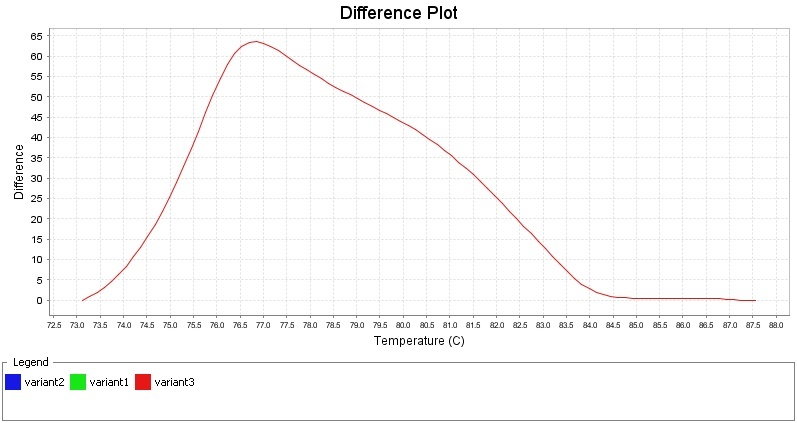 I don't really understand why a product of 300 pb (which I saw on the gel) melt before my product of 200 pb, and why this two peaks are always proportional? Otherwise the primer works, in the sense that it detect until 0.1% of methylation and it don't amplify the unmethylated sequences. Thank you very much for any feed-back or suggestion!!! great to hear your experiments are working more efficiently now, with regard to the melt profiles, this is indicative of differential DNA methylation. So the two peaks may represent fully methylated and fully unmethylated templates, the messiness would be varying methylation levels in between. thanks:) I don't know, I used 0, 0.1, 1, 10, 100% methylated standard. So, at least in the upper profile for example, the 100%, I should have only one peak I think, or? ..or what you mean is that my primers amplify another sequence and that the two peaks are proportional since I'm using standard between 0 and 100 % methylated and so, also the additional sequence I amplify has the same rate of methylation and, therefore, it shows the same kind of profile. But how is it possible that 300 pb melt before? Or is it possible that my peak is the first one and it could be that it is smaller because the sequence is shorter and so it has less CpG (in number)? well how sure are you your standards are what they say they are? also, could it be that your 300bp template is unmethylated? if so, it would have a low GC-content and therefore low melt. maybe if you feed your sequences into a melt simulator such as uMelt, then you can see, you can then feed in your bisulfite converted sequence and then your methylated and unmethylated sequences for good measure.